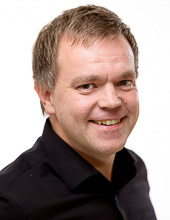 Dr Per Thorén is Chief Operating Officer (COO) of Molecular Frontiers Foundation, a global network of scientists and educators, aiming to increase the public appreciation and understanding of science, in particular among young people. He is behind the website MoleClues (www.moleclues.org) and the successful initiative The Chemistry Calendar (www.youtube.com/chemistrycalendar and www.youtube.com/kemikalendern). Per is also Communications Officer for the Materials Science Area of Advance, and works with both internal and external communication. There might be more projects where Per Thoren participates, but you have to be logged in as a Chalmers employee to see them.